An excerpt from Vine of David's newest book release, The Siege of Jerusalem, by Pauline Rose. 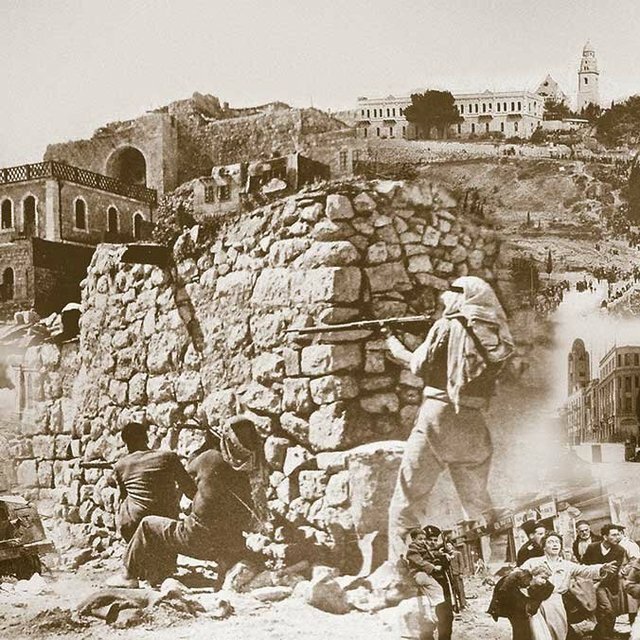 First Fruits of Zion is proud to present the following excerpt of the newly released book Siege of Jerusalem written by a Messianic Jewish voice from the past, Pauline Rose (1890-1973). These are her firsthand accounts, eyewitness testimony, diary notes, and letters of correspondence written from Jerusalem between 1946 and 1949. After returning from my first perilous visit to the Holy Land, it took me several months to adjust to the change from Palestine to England. 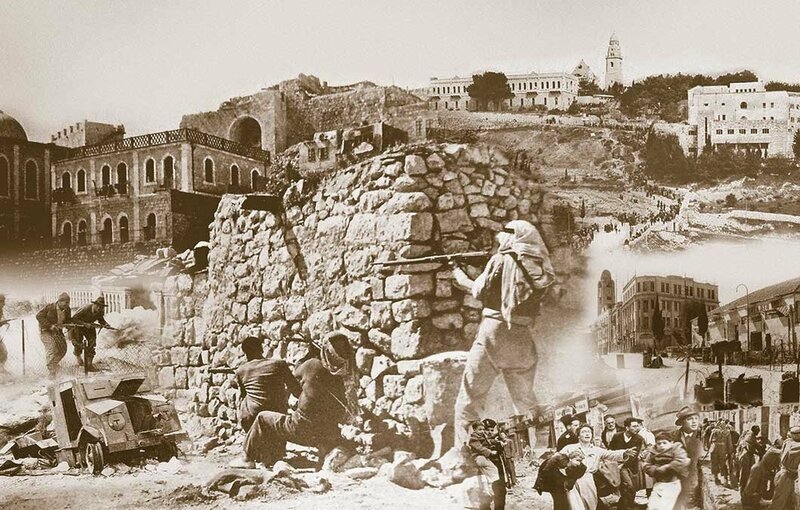 In Palestine there had been life, struggle, battle, creation. One could feel the strength of the heartbeats. In England there was silence, muffled murmurings, a spiritual void—the pulse was weak. As months passed, my longing to return to Palestine was kept in check by the knowledge that at the appointed time, when God opened the way, I should return. During those months I felt the growth of anti-Semitism in England. Every crime committed by the Jewish terrorists in Palestine was an opportunity for accusation against the entire Jewish people. The daily newspapers fed the germ that had poisoned the bodies of many nations for many generations—a poison calculated to destroy the Jews but that ultimately destroyed the body into which it was injected. Completely distorted pictures were given of events that I had just experienced in Palestine, and when after receiving many requests I arranged to speak at a meeting at Heston Farm about the life and achievements of the Jews in their own land, many who had asked me to speak stayed away. Earlier that day part of the King David Hotel had been blown up by Jewish terrorists. The newspapers injected another dose of poison against the Jewish people. The Jews in Palestine as well as in other parts of the world deplored the acts of violence committed by a small group within their ranks and suffered much on that account. But the poison worked. There were attempts to burn synagogues in many parts of England. Jewish shops were raided and windows smashed. Friendships cooled, and people who had never before been conscious of Jews being any different from themselves began to ask questions. The poison of anti-Semitism was working fast in England. Meanwhile, the “Palestine problem” was a disturbing factor in world politics, and in November 1947 the United Nations Assembly decided to “solve the problem” with the partition plan—one part of Palestine was to go to the Jews, the other to the Arabs. The decision was welcomed by the Jews and rejected by the Arabs, thus increasing the unrest that already existed in the country. At a meeting in London at which Jews gathered together to celebrate the occasion, I spoke to a man who had flown from Jerusalem that day. “Do they not realize the dangers?” I asked. At the end of 1947, I was ready to leave England again. The situation in Palestine was critical. All British women and children were being sent back to England. The Jews and the British had been separated and confined to different zones. The dark storm clouds were gathering, heavy-laden with the threat of war. Yet the time had come for me to return to Palestine. Those nearest me begged me to reconsider my decision and to wait until the situation in Palestine was clearer. There were many visitors to Heston Farm, and once the whisper circulated of my intention to go to Palestine, I was continually bombarded with advice to change my plan. Relatives, friends, farm workers, and strangers—all were anxious on my behalf. Personal visits, phone calls, letters from abroad, all contained the same “good advice”—in my interest and out of genuine concern. Many similar reasons were put before me in an attempt to prevent me from going so foolishly into the possibility of useless suffering—and perhaps death. But I was bound to Palestine—for better or for worse. He looked at me even more curiously than before. He gave up the appeal to reason, smiled, murmured something about women being strange creatures, looked through his papers, and offered me a seat in a plane the following week. On February 10, 1948, I was at Heathrow airport—the beginning of my journey back to Jerusalem! I spent that night in Geneva, enjoying the beauty, the atmosphere of prosperity, and the real whipped cream in my coffee—an extravagance not known in London for many years. The following morning I entered the large Swiss airplane that took me to Palestine. The day was clear and sunny, and as it came to its end, we passed through a mysterious world above the clouds, a world of fantastic colors and ethereal forms that were constantly changing. Descending from that wondrous cloud sphere, I could discern the distant coastline. The daylight faded; the lights of Lydda airport guided the landing. A few minutes later I stepped out of the plane. I stood again on the soil of the Holy Land. Click here to order your copy of Siege of Jerusalem. Adapted from: The Siege of Jerusalem, Vine of David, 2016, written by Pauline Rose. About the Author: Pauline Rose (1898–1973), was a heroine, pioneer, and matriarch to the Messianic Jewish movement. 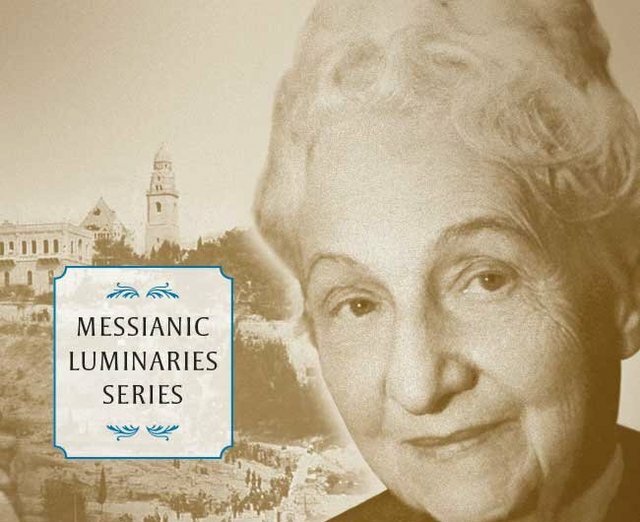 She first visited Palestine in 1946 on a mission to “kindle the Sabbath light of Messiah” and establish a Messianic Jewish community in Jerusalem.